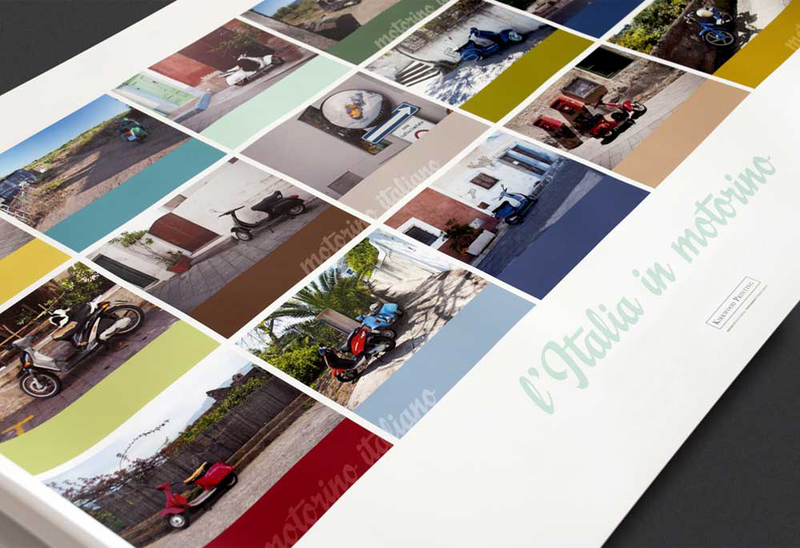 To really experience Italy is to do it on the back of a Vespa (or drive yourself if you dare). The ubiquitous scooter became the subject of a series of photographs shot by Maria Carbone during one of her trips there. When the studio was asked to design a promotional poster for Kirkwood Printing, we wanted to do something to celebrate the bel paese and chose to highlight the object in its surroundings that is just as much part of the Italian culture as espresso and gelato. Andiamo!